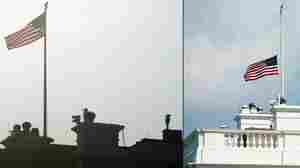 August 27, 2018  After criticism, President Trump directed federal flags to fly at half-staff to honor Sen. John McCain until he is buried. 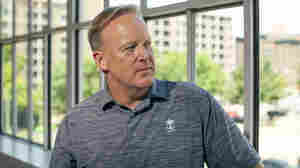 The move came after the White House flag was initially at full-staff Monday. August 22, 2018  President Trump and the White House had stayed mostly silent in the wake of Paul Manafort's conviction and Michael Cohen's guilty plea, but Wednesday, he returned to Twitter and taped a TV interview. August 20, 2018  In her speech, the first lady said children are often "more aware" than adults about the risks and benefits of social media. 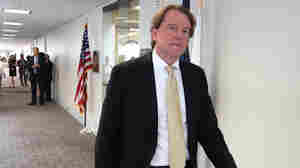 August 19, 2018  The New York Times reports that White House counsel Don McGahn met with Robert Mueller's team for dozens of hours as part of his investigation. August 17, 2018  About a dozen former officials warn that President Trump is using clearances to stifle free speech. 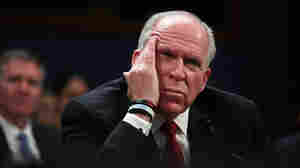 Trump said Friday that he is also likely to revoke clearance for a top Justice Department official. 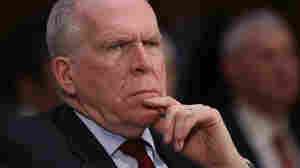 August 15, 2018  In addition to revoking the clearance of former CIA Director and outspoken Trump critic John Brennan, Trump called for a review of the clearances of nine current and former government officials. August 15, 2018  The Trump campaign says former White House staffer Omarosa Manigault Newman broke a nondisclosure agreement. But an employment lawyer says, "She's going to be able to continue with what she's doing." 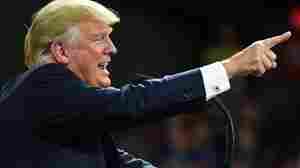 August 13, 2018  On the eve of Omarosa Manigault Newman's book release, Trump tweeted scathing criticism of his former top-level aide. 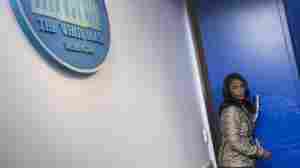 August 10, 2018  Former reality TV star and Trump aide Omarosa Manigault Newman spoke to NPR about explosive allegations in her new book, Unhinged, but part of her account changed in the interview. 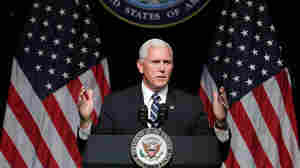 August 9, 2018  Vice President Pence said in a speech Thursday that the Space Force, which would be the military's sixth branch, will "prepare for the next battlefield" and "a new generation of threats." July 24, 2018  The rollout of the first lady's policy initiative was delayed by her illness and hospitalization in May, but the White House says she'll be making more appearances in the weeks to come. July 24, 2018  The former Trump press officer intelligently dissects the reward structure of viral Twitter and gives a valuable sketch of conservative politics, but he seems to have written "The Briefing" to an end. 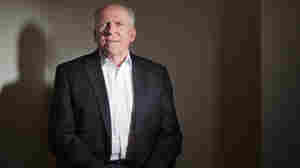 July 23, 2018  White House Press Secretary Sarah Sanders says former CIA Director John Brennan and others have "politicized and in some cases monetized their public service and security clearances." July 23, 2018  White House stenographers are meant to record every public utterance made by a president, but "everything changed" with the Trump administration, says Beck Dorey-Stein. 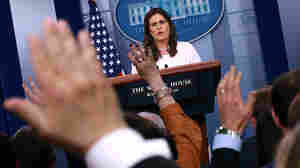 July 21, 2018  Sarah Sanders is marking one year as White House press secretary, a job that requires her to understand and reflect Trump's combative style.